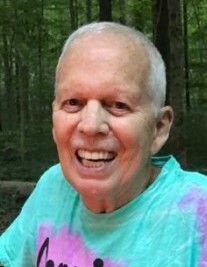 Thomas “Tom” Edward Lovell of Ellettsville passed away at his residence on Wednesday, March 20, 2019. He was 79. Born on August 19, 1939 in Anderson, Indiana, he was the son of the late Roy C. and Laura (Vaught) Lovell. Tom graduated from Anderson High School with the class of 1957 and went on to graduate from Indiana University with a bachelor’s degree. Tom worked as an accountant until his retirement. He was an exceptionally talented artist working with many mediums including paint, needlework and stained glass. Camping and vacationing with his family always brought Tom happiness. Among many talents he possessed he also was a master gardener. Tom is survived by his sisters, Barbara J. Cox and husband Charles and Sandra French all of Anderson; niece, Nancy Bergmann and husband Peter of Carmel; nephew, J. Kent Leasure III and wife Kathy of Indianapolis; great-nieces, Amiee McGrath and husband Patrick of Pittsboro, Connie Killigrew and husband Brian of Indianapolis, and Jessica Leasure of Indianapolis; seven great-great nieces and nephews; and special friends, William and Danna Wylie and Renee Chambers. At Tom’s request there will be no services. Chandler Funeral Home in Ellettsville is assisting with cremation arrangements. Contributions in Tom’s memory may be made to the charity of one’s choice.